North West law firm The Jackson Canter Group has appointed Manchester's Brazen to handle its PR after a multi-agency pitch. The work will look to bring to life the group’s proposition of ‘making a difference to individuals, businesses and society through the practice of law’, as well as raising the profile of its three distinct practices and respective legal experts. The B2B and B2C brief also includes a communications campaign to support the Jackson Canter Foundation, the group’s charitable arm of which 2% of profits are donated to charity. Jackson Canter Group doubled in size earlier this year when it acquired Wirral-based Lees Solicitors in a seven-figure deal. Broudie Jackson Canter, one of its subsidiaries, acted on behalf of 20 of the families involved in the Hillsborough disaster, which saw the country’s longest-ever jury proceedings come to a close with the inquest verdict in April this year. Jackson Canter’s chief marketing officer, Claire Smith, said: “Brazen came highly regarded for its customer-centric PR approach and creativity. And, at pitch stage, the agency stood out for its energy, fresh ideas and strategic thinking - all the components we believe are necessary to help drive our brand ambition. 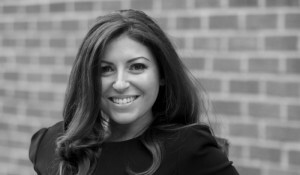 Brazen’s Jackson Canter team will be headed by Sasha Marks, formerly of Freuds, who will lead the agency’s expansion into corporate services.